The internet has brought people closer together and, if you've ever spent any length of time around most people, you know that's not exactly a good thing. We are now routinely subjected to the antics of idiots, even if those antics become dangerous to others. We've all heard too much about things like the Tide Pod Challenge, where people were encouraged to eat a Tide Pod. There were numerous injuries and the company had to issue a statement distancing themselves from the craze. There have been countless others and, thankfully, this new CheesedChallenge, isn't as harmful as, say, the Hot Water Challenge. In this new one, an adult simply lobs a slice of processed cheese at the face of a baby. If you can't believe you just read those words, I can't believe I just wrote them. A young man on Twitter that goes by the handle @unclehxlmes, posted a video of himself throwing a soft slice of cheese at his brother. The baby seems perplexed, mouth making a slight frown as his world is enveloped in cheese. The video had over 10 million views before he deleted it. In another tweet he explained why he deleted it. "I deleted it because it genuinely got way out of hand," he wrote as he explained he was getting calls from national news outlets. He says the baby in the video isn't one he knows and that he just "saw the video on Facebook and did the typical nab tweet for a joke." He says he's spoken with the parents of the baby and explained the situation was "invasive" for the mother and apologized. Good on him for apologizing, and I'm sure he had no idea he'd start a fad. Now, people everywhere are uploading videos of themselves throwing cheese at babies. Many people have also used the hashtag to share their disdain for others. 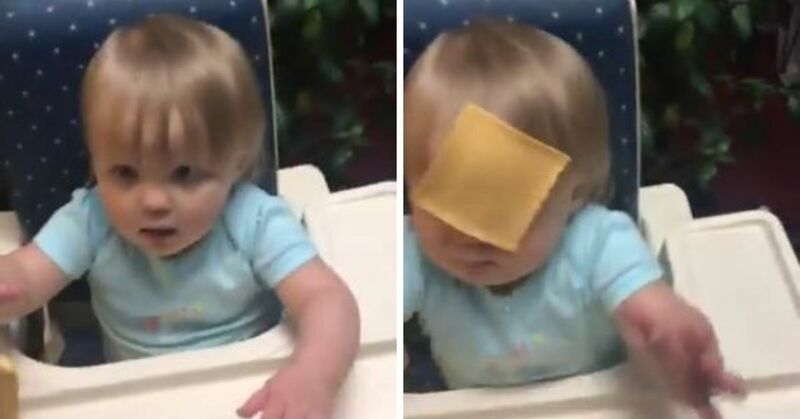 As stupid as it is, no baby has reacted badly to having a cheese slice suddenly appear on their face. Many are, understandably confused, but cheese slices are soft and every video clearly has them being softly thrown. I'm not trying to defend those who partake in the cheesed challenge, but I want to be clear it's not abuse. Some seem to want to try it, but aren't sure. Some have taken the step of removing babies entirely. What do you think of the cheesed challenge?